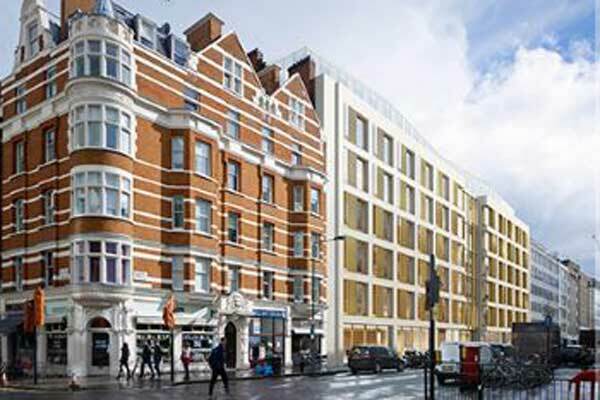 Skanska, a leading development and construction company, said it has been awarded a £45-million ($50.2 million) contract by Derwent London to design and build a commercial development in the West End of London, UK. Designed by Piercy & Company, the 9,800 sq m Copyright Building scheme comprises a mixture of office and retail space. As per the deal, Skanska will be responsible for the design, construction, mechanical and electrical engineering and ceiling installation within this new development. The ground floor will provide 1,850sqm of retail space. There will be 7,950sqm of fully fitted out category ‘A’ offices across seven floors with two floors of roof terraces, it added. Richard Baldwin, the head of development at Derwent London, said: "We are very pleased to have appointed Skanska as the main contractor for the Breeam Excellent environmental standard, using sustainable approaches throughout the construction phase and installing solar panels on the building’s green roof." "To deliver this project, Skanska has put together a specialist in-house team to combine its skills in design, construction, mechanical and electrical engineering and ceiling installation. The team will install and commission chilled plasterboard ceilings, which are new to the UK, to all of the seven upper floors," he added.